Diffusers are devices to redirect or scatter light from a source, predominantly by the way of diffuse transmission. They are used in combination with LEDs to spread out the light emitted in luminaires such as LED bulbs, LED tubes, LED panels, LED downlights, etc. An LED can be an extremely bright, unidirectional source, and manufacturers need materials that either allow the light to shine directly through a surface for the highest level of brightness, or provide uniform light distribution whilst not having evidence of the light source, for a more diffused effect. 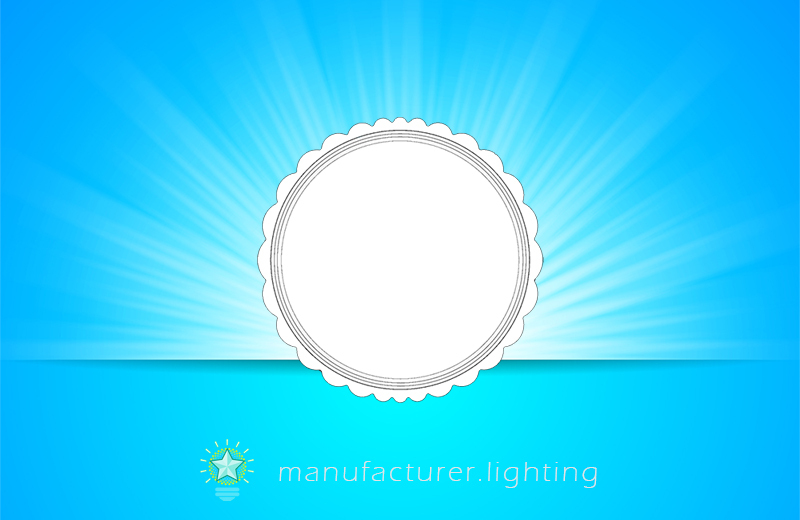 The masking of an LED source controls the amount of light that is transmitted or diffused. Luminaire diffusers are commonly manufactured from translucent materials such as PM-MA (acrylic), PC (poly carbonate), PS (Poly Styrene), SAN (Styrene Acryl Nitride), glass, Teflon, or opal. Without using a diffuser, the light from an LED will appear unpleasant since it comes from a single identifiable point. One of the advantages of LED lighting is the freedom it providesmanufacturers to be imaginative in their product designs. Unlike traditional incandescent lighting, the lighting industry is never again restricted in aesthetic configuration. Plastics materials employed for housing or covering the LED source can be created into countless shapes and sizes by shaping resins/materials through injection molding, injection blow molding, profile extrusion and sheet extrusion/thermoforming processes. PC and PMMA components can be lighter and thinner than glass, and deliver design flexibility. PC and various polycarbonate blends are now found in a wide range of LED applications as they have the balance of properties to satisfy these demanding and varied requirements. Polycarbonate gains advantage from greater heat resistance, better impact strength and increased resistance to breakage. PC is also more flame-retardant. The increasing adoption of LED lighting has created applications for polycarbonates that were in past times the preserve of materials like for example glass and metal. It has the basic properties required in LED applications and can be customized to accommodate very specific performance requirements. With PC, there are two ways to acquire a diffusing effect. The material can be made translucent by incorporating specific additives. In this case, diffusion strength and transmission count greatly on the additive type and concentration. Conversely, irregular, satined surface structures (grain size of 10 µm) can diffuse light as a result of refraction. Polycarbonate resins offer exceptional thermal stability as opposed to acrylic resins and can be utilized for continuous use temperatures up to 120°C. While polycarbonate is transparent in its natural state, it can take on an opaque appearance when combined with various sorts of additives or another material, such as ABS. Ignition resistant PC and PC/ABS are perfect housing materials for LED applications. Yet another advantage to PC-based diffuser components is the fact they can provide a single-piece substitute for multi-component film and lens systems, in so doing simplifying lamp assembly. PMMA is a linear thermoplastic polymer. PMMA has high mechanical strength, it doesn't shatter on rupture. It is one of the hardest thermoplastics and is also incredibly scratch resistant. It features low moisture and water absorbing capacity, attributable to which products made have good dimensional stability. Benefits associated with PMMA over PC include its higher light transmission (> 92%) and superior resistance to UV radiation. PMMA is one of the polymers which is most resistant against direct sunshine exposure. Its strength characteristics exhibit surprisingly small variations under the effect of UV-radiation, as well as in the existence of ozone. PMMA displays excellent optical properties - it transmits more light (up to 93% of visible light) than glass. The thermal stability of standard PMMA is only 65°C. Heat-stabilized types can withstand temperatures as high as 100°C. PMMA can withstand temperatures as low as -70°C. Its resistance to temperature changes is superb. But unfortunately PMMA is a combustible material, which continues burning even after the flame is removed.